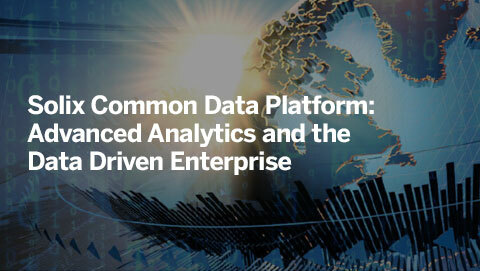 In today’s modern enterprises, confidential and sensitive data is present in structured and unstructured data formats and across production and non-production environments. While production data is carefully secured, data in development, QA, and other non-production does not have the same levels of security and permission-based access controls. This leads to unauthorized dissemination/accessing of sensitive data exposing enterprises to regulatory non-compliance that could lead to large monetary fines and loss of trust with customers. A common strategy for maintaining security in non-production environments is to mask, scramble, or otherwise replace the sensitive data. Before sensitive data can be masked, it must be identified and that is no small task considering the large volume, wide variety and number of data locations today's organizations have to deal with. 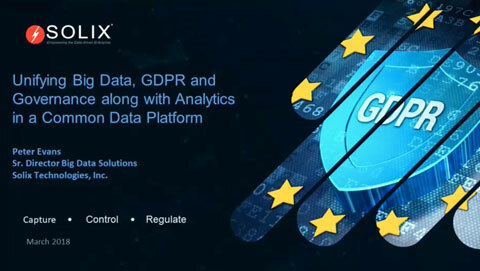 This is where Solix Common Data Platform (Solix CDP) can help. It provides data officers with a single pane of glass view into the complete enterprise data landscape (both production & non-production). 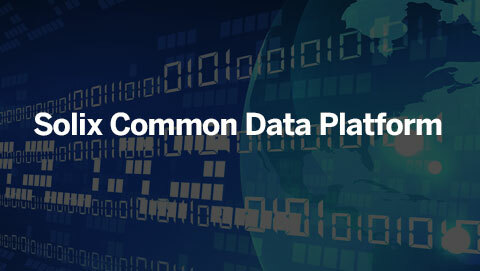 Data officers can quickly discover and report on - industry standard sensitive information such as PII, PCI, PHI using out of the box algorithms and confidential information that is unique to their organization using custom algorithms. The Solix CDP’s ability to scan through structured and unstructured data addresses the key issues of sensitive data discovery for today's modern organizations. 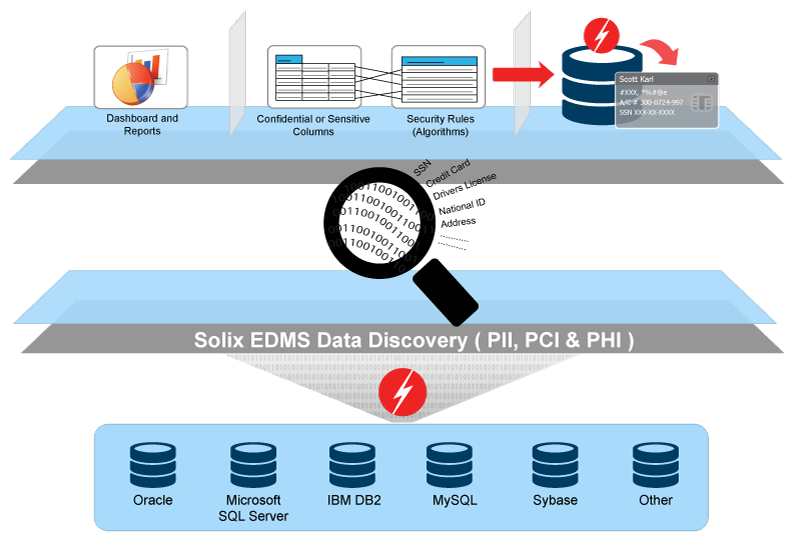 The discovery functionality can be extended with the Solix Data Masking capability to secure the sensitive data.